Remember those crazy early years parenting little kids? They sure were chaotic, weren’t they? Then again, those kiddos usually called it a night well before 8 p.m., leaving you to enjoy your home in blissful quiet. Not so anymore, eh? Because those toddlers turned into tweens and teens. And those once-early snoozers have started roaming the house at 10 p.m., 11 p.m., midnight or even beyond. This is no good for a couple of reasons. 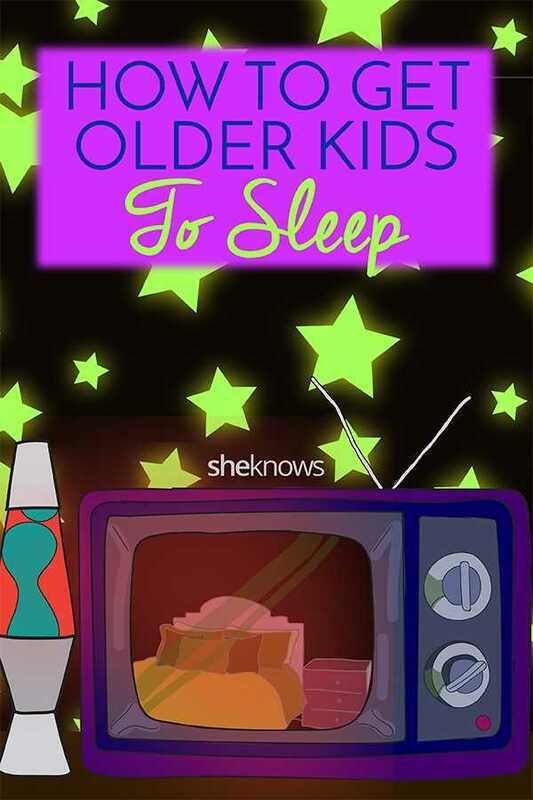 For one thing, older kids still need sleep (8 to 10 hours a night). And for another thing, you need to be able to watch Stranger Things 2 without interruptions. I mean, priorities. But trying to get a “no I don’t feel tired at all” kid to go to bed is anything but easy. So here are some tips that can actually help. So half an hour before bedtime, kids need to leave their phones downstairs. Yep. It may sound impossible, but if you have a strict policy of keeping all chargers in the kitchen or living room, your child will be more likely to plug in and walk away. After all, the thought of an uncharged phone is enough to send any teen into complete panic mode. Also, if possible, set your child’s phone to switch to Night Shift a few hours before bed. This displays yellow instead of blue light, which is better for allowing the brain to transition to bedtime. And don’t discount downtime; kids need space and time to just chill out. If you need to, scale back on his or her extracurricular schedule so your child has time to goof around and decompress. This is not TV time. It’s not scrolling Instagram time. It’s taking a bath, working on art, playing music or reading a book — alone or with a parent. Your kid is well past Goodnight Moon at this point, but there are lots of great books that are way more interesting than a comb and a brush and a bowl full of mush. Reading together is also a perfect time to have a quiet conversation with your child before you say goodnight. Or why not try meditation? Headspace is a great app for kids looking to do some mini-meditation before bed to encourage sleep. Subtitle: How the Heck Am I Supposed to Do That? This really takes commitment, because it can seem like something always comes up (a late game, a test, etc.). But really try to get your tween or teen into bed at the same time every night. Of course there will be exceptions, but the more you develop a bedtime routine, the more likely kids will be to sleep early and well. Besides, according to most doctors, sleeping in on the weekends doesn’t actually help kids “catch up” — it just plays havoc with their sleep schedule. So, sure, they can stay up an hour later and maybe sleep in a bit on Saturday and Sunday morning, but don’t let it turn into a 3 a.m. weekend “bedtime” or some other radical departure from the weekday schedule. And in addition to a consistent bedtime, Sheldon recommends keeping kids’ rooms cool (68 to 72 degrees), making sure it’s dark (even limit nightlights) and if possible, make sure they reserve the bed for sleep only (rather than doing homework or watching TV in bed). And if after all that, your kid is still not sleeping? Hey, there’s always boarding school. Just kidding. But really, remember: You cannot actually force your kids to sleep. What you can do, however, is let them know that after a certain time, the kitchen is closed, the TV is off and all their devices are off-limits and charging downstairs. Given the limited remaining options (read some more? ), going to sleep might not sound so bad after all. I hear their parents love it!